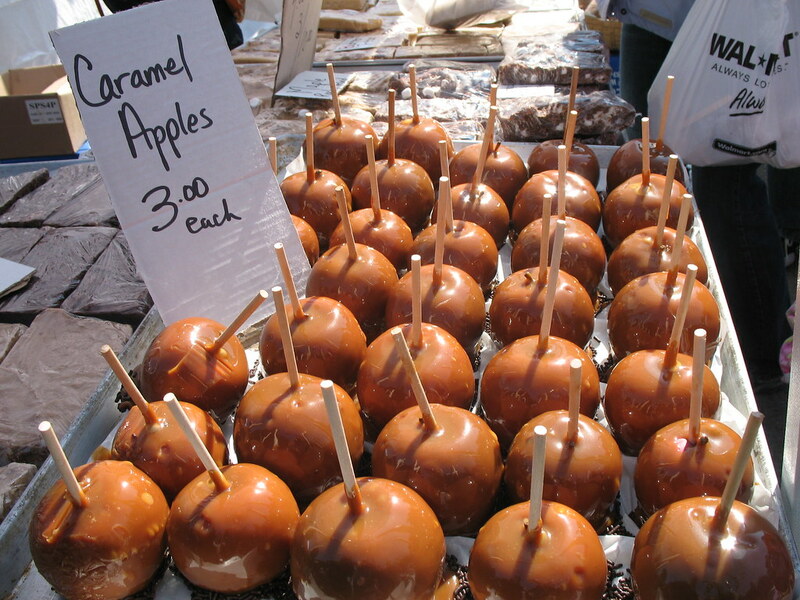 This picture of caramel apple was taken during the Elmira maple syrup festival. It was a great tradition of all Elmira people to celebrate, see, taste, enjoy and experienced the worlds biggest syrup festival. We can see lots of vendors selling syrups and many different kinds of traditional foods in the street. The weather is so good and everybody enjoy the great experienced.